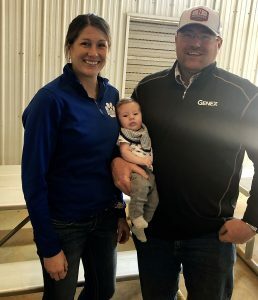 Brady, Keah and baby Brogan at Grayâs Angus Bull Sale. 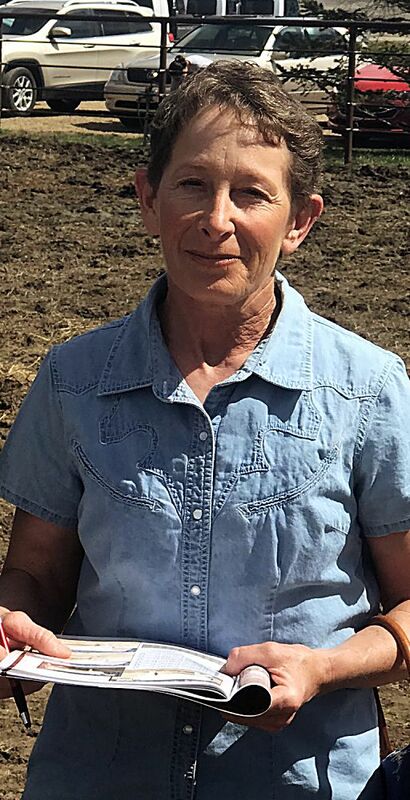 Rod and Laura Gray and family, Grays Angus Ranch, are now in their seventh generation of family ranching. 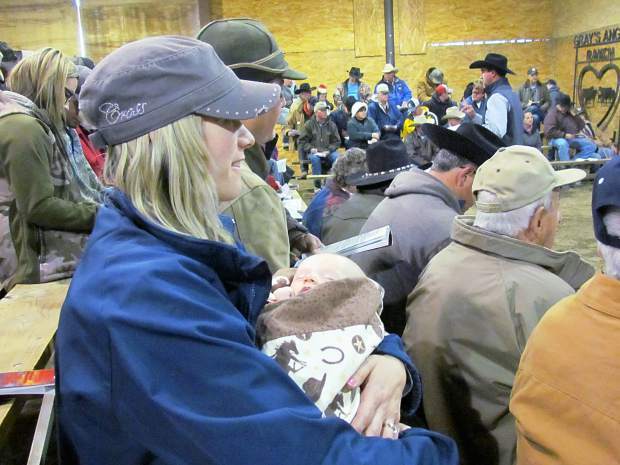 As a multigenerational Angus breeder, they are set on keeping that family legacy alive. 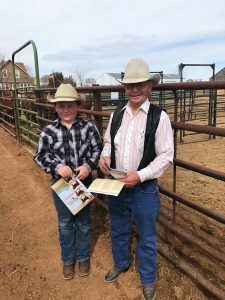 As part of keeping the legacy going, they are committed to faith, family and freedom, along with raising excellent Angus cattle. Their program is based on meeting the demands of the beef industry from all sectors. 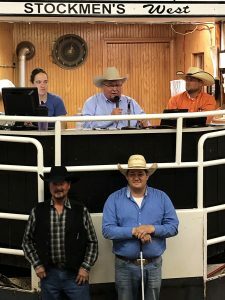 Feed efficiency, proven carcass traits, performance along with maintaining superior maternal traits are what keeps repeat buyers coming back and purchasing their bulls. 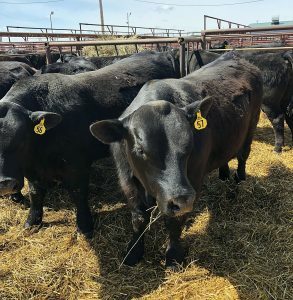 They look forward to forging a relationship with their customers and being their source for top Angus genetics. Lot 40 – $6,500– son of Gray’s Emblem 419 sold to Max Princehouse, Toledo, Iowa.